Our mountain biking adventure in Basque Country was off the charts for one simple reason: we rode with the Basque MTB crew. Not only are the Basque MTB guides incredible riders, but they’re awesome guys to grab a local Basque beer with after a day of sending world-class singletrack. If there’s one place in Spain that we’ll be returning to, it’s Basque Country, if only to shred one more insane line with these top-notch riders. 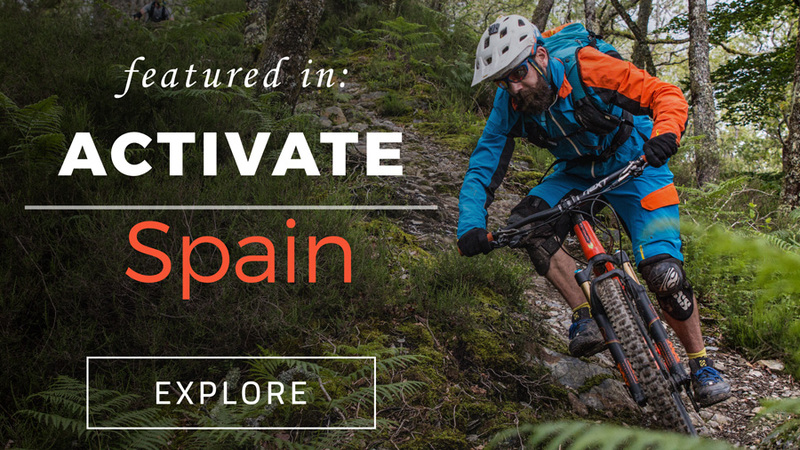 Basque MTB has a few vans and drivers available, and they’ll split up riders by skill level and ambition, putting a different guide with each group. Want to fly down the steepest singletrack Spain has to offer? Maybe Antonio will show you the way. Looking for a bit of advice on how to tackle technical switchbacks? Carlos will explain the finer points of body mechanics in fluent English. On longer rides, ultra-marathoner Borja is the one you want to keep you motivated. Doug can crush it all, and he’s got an amazing eye for group dynamics: if you want to go faster, or slower, or switch groups, he likely already knows and is on top of it. That said, if you speak up, the Basque MTB guides will do whatever it takes to keep you stoked. On the trail, off the trail, frankly, these guys are awesome to hang out with. Coming from Colorado and having spent time in the mountain biking meccas of Utah, California, and Washington, we expected the riding in Spain to be good, great even. But it was better than good, better than great. There truly aren’t adjectives to adequately describe the caliber of this coastline. Doug and his crew have revitalized old trails and found new ones, and for a week straight we rode different trails every day, always electrified by the quality, difficulty, speed, and the divine and fleeting fun factor. This isn’t Colorado, or Utah. The trails we rode in the Basque Country are more akin to the rowdy banked dirt trails in the Pacific Northwest, mixed in with a little bit of Scottish and Irish ruggedness. Unbelievably fast banked sections, slippery root-strewn traverses, 15-foot rock staircases, muddy berms, open bluffs, tight trees — you name it, we rode it. In a single run, we’d roll through an hour or two of fast-paced downhill, dropping hundreds and hundreds of meters, passing through multiple ecological zones. Open hilltops disappeared into forests of bamboo, tighter trees gave way to ocean views and raucous bluffs. Mind you, we were taking part in the Basque Coast Tour, but Doug also offers a tour of the Pyrenees, which sports more high-alpine riding. Next time, we’ll be aiming for that trip. These trails are truly world class. But a locally-imposed “No Strava” policy combined with non-existent signage means you’d be hard-pressed to find these trails without the Basque MTB crew. Hopping into the shuttles after an enormous downhill that has your arms on fire and your heart pounding is a welcome treat. 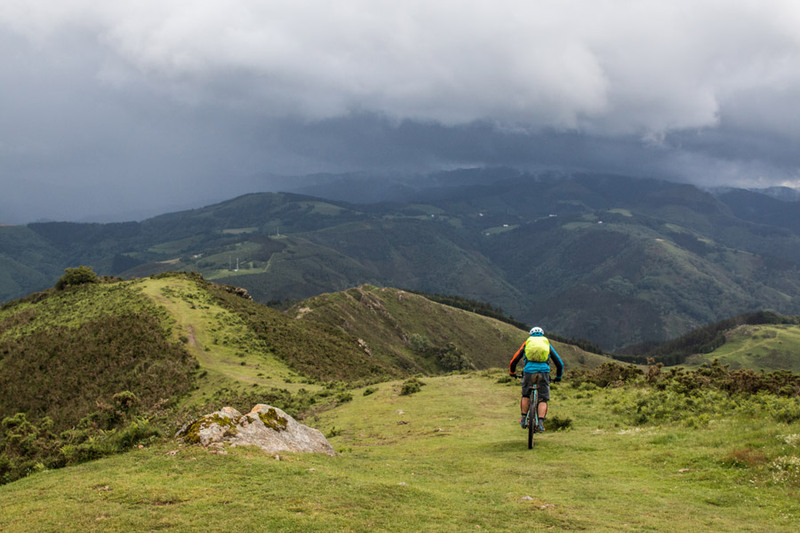 Basque MTB doesn’t eliminate climbing — where’s the fun in that? — but they do even the playing field so that the time spent on the uphill evens out on the down. On your average human-powered ascent, a 300-meter climb might take you an hour, but you’ll be back down in a third of that time. Basque MTB has the ratio down packed, so for every 100 meters you climb, you can expect approximately a 300-meter downhill section. 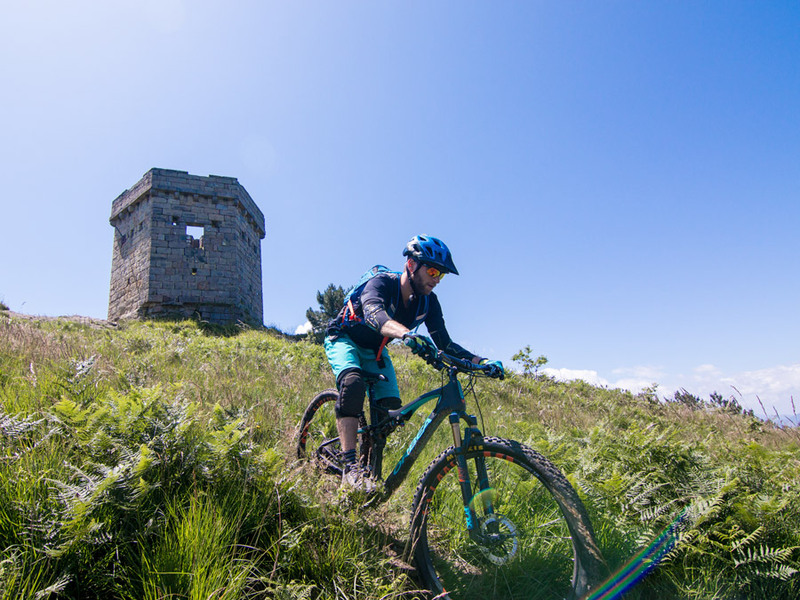 It’s enough climbing to feel like you deserve that beer at the end of the day, but the climbing is definitely overshadowed by the adrenaline-inducing downhills. 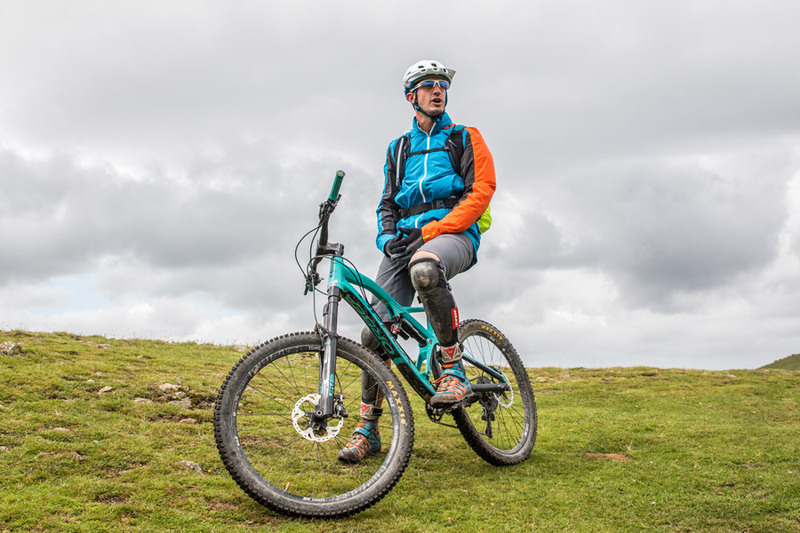 Many traveling mountain bikers feel the need to ship their bikes, which, although it can be expensive, saves the rider from having to demo a sub-par rig upon arrival. That is not the case with Basque MTB. 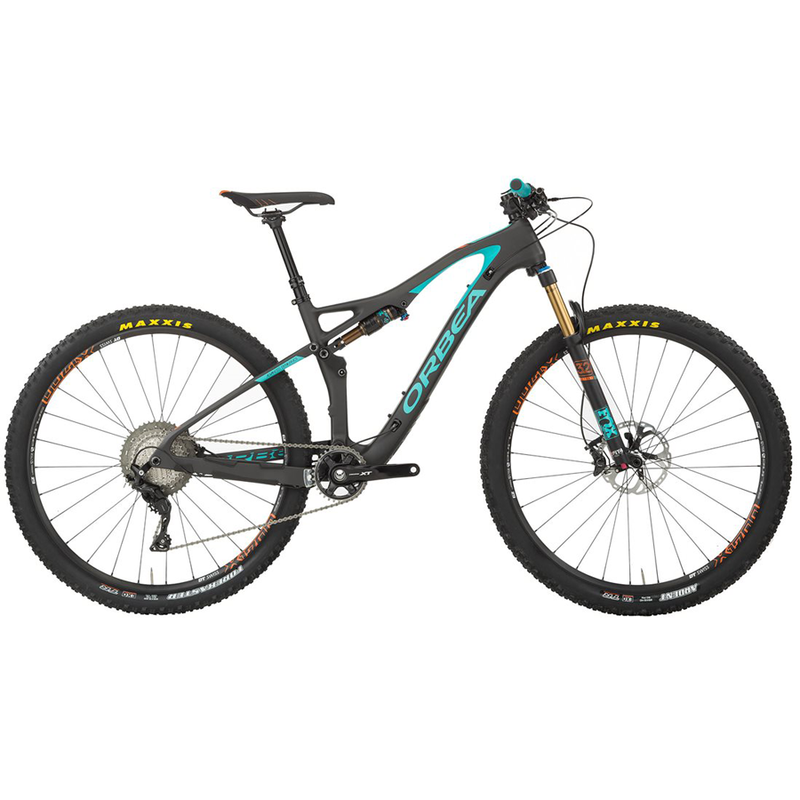 Orbea Occam TR M10 Bike 2017 Starting at: $5,625.03 A fleet of brand new Orbeas, pristinely cleaned and tuned by a professional bike mechanic, are lined up in the Basque MTB headquarters like shining race cars in a billionaire’s garage. The Basque bike company’s Rallon, an aluminum enduro workhorse with 160mm travel, is the bike of choice for most of these technical downhills, but we got to spend the week riding the new Occam TR, a carbon 29er that slays the uphills and gobbles up drops and dips on the descent. 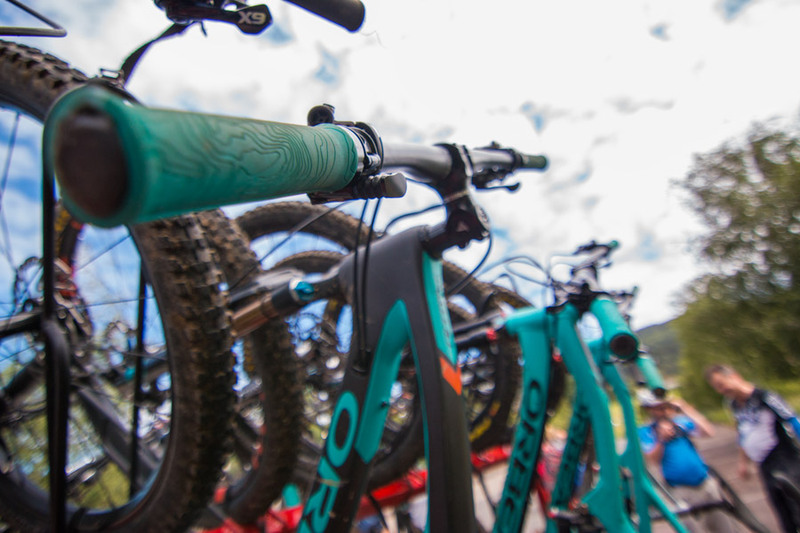 Unless you’re in love with your bike — and if you are, more power to you — we recommend you avoid the hassle of traveling with your bike and talk to Doug about which Orbea bike model is right for you. It’s not a coincidence — the people who travel to this northeastern corner of Spain for a mountain biking trip happen to be really rad. We met a handful of European rippers, flocking from Scotland, England, Germany and Holland to get a taste of the fabled riding on the Basque coast, as well as a few other riders from Colorado. By the end of the day, you’re comparing bruises, sharing pictures and laughing over beers. Even though we only knew them for a few days, it felt like we’d been riding bikes with this crew for years. There’s amazing singletrack in the United States — no doubt there. 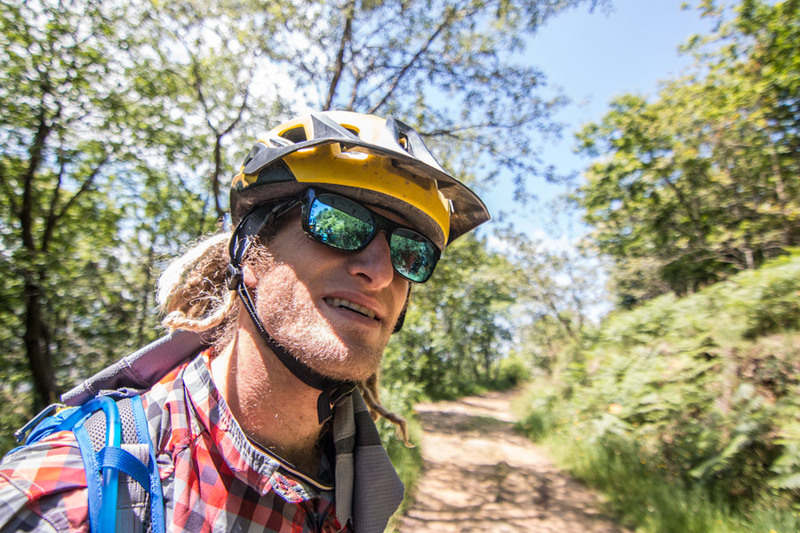 But what makes Basque MTB such a unique mountain biking experience is the culture that’s engrained into the very fabric of these hillsides, forests, and bluffs. You’ll be whipping through a fast and flowy section, only to hit the brakes as you pass an ancient watchtower. You’ll cross sketchy bridges built hundreds of years ago. You’ll hop off the remnants of crumbling ruins. Adrenaline is easy to come by; awe is not — but you’ll find both in spades when you ride with Basque MTB. Breakfast starts off at the Hotel Bista Eder — a simple spread of granola, omelets, and coffee. 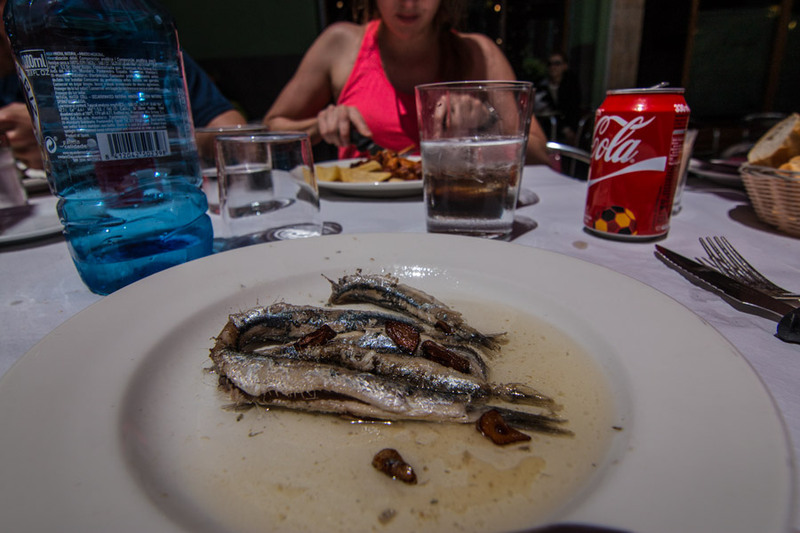 For dinner, you’ll stroll the main street of Hondarribia, the small Basque town that’s home base for Basque MTB, searching for tapas and cider. But it’s lunch that will have you speechless. Doug had a point, but we didn’t always listen. The chorizo and potatoes are freakin’ unbelievable. 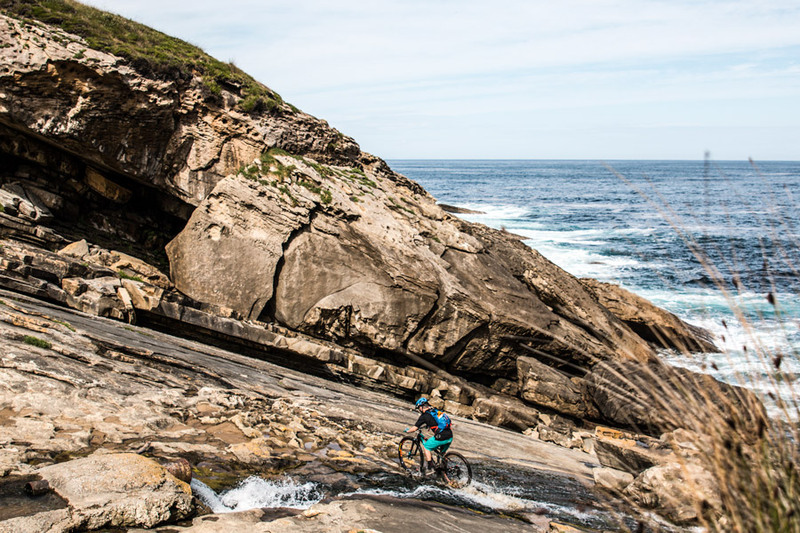 For a landlocked mountain biker, riding along the coast is an experience that must not be missed. 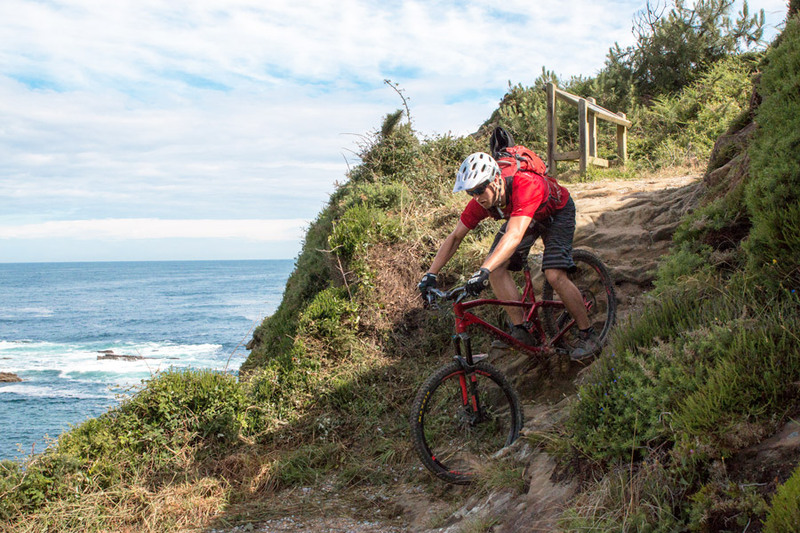 Blazing out of a tight line in the forest into an open, utterly gorgeous grassy knoll overlooking the roiling Cantabrian Sea — that’s something you’ll never forget. Plus, the proximity to the ocean makes for excellent mountain biking weather; you’ll rarely overheat along the Basque Coast. Even if you’re a solid rider, the Basque MTB crew has the experience and know-how to make you better. We rode with the intermediate group — the advanced group was faster than a herd of gazelles on Red Bull — and it was fun to stop and talk to Antonio or Doug about the proper way to corner a turn, how to find the right line, or how to best position your body on the bike to deal with slippery roots on a traverse. There was one run, in particular, where I felt out of a my comfort zone. It was steep and wet, a trail criss-crossing a creek roaring from the recent rain, with exposed banks peppered with sneaky, slick roots and the occasional mandatory drop. Doug looked back at me, said, “Remember what we talked about, and just follow my line.” I took a deep breath, dropped in behind him, and, keeping an eye on his back tire, rallied through one of the most satisfying lines of my life.